lyhne life is a medical marketing agency specialized in marketing and communication for healthcare and life science industries. lyhne life started in 2011, as a dedicated Business-to-Business division of lynne & co, a full-service advertising agency with strong creative and marketing competencies. lyhne & co. was founded in 1991 and employs 15 talented people. lyhne life is led by CEO, Louise Lyhne, M.Sc. in Chemistry and Chemical Engineering. Previously, Louise held the position of CMC Project Manager in R&D at Nycomed and prior to that she worked as a Patent Manager in the biotech company Egalet a/s. Louise´s experience ranges from management of Drug Development Projects to Global Life Cycle Management Projects. At lyhne life, we use a structured approach in order to provide our clients with the best possible results. We start by setting the right business objectives, we do market research and analysis, conclude with strategic directions, and finally we move to execution. Our services include: market research and analysis, communication, marketing and business strategies, digital solutions and creative directions. lyhne life employs 15 talented people that genuinely share your passion for healthcare and life science marketing. We believe that by combining our healthcare knowledge with our marketing experience, we provide our clients with professional and creative solutions. 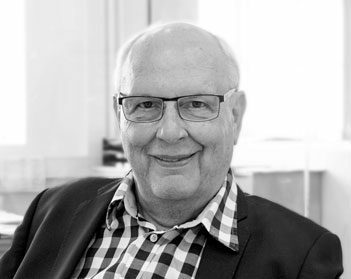 Søren Lyhne (born 1946) is founder of lyhne & co. and Chairman of the BoD in lyhne & co. since 1991. Furthermore, he was CEO of lyhne & co. until 2009. During his years in the agency, he focused extensively on Retail, particularly Shopping Centres, and FMCG brands. Besides being, Chairman of BoD in the owners guild in Egedal Centret. 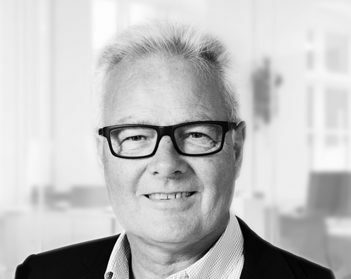 Prior to being CEO of Lyhne & Co, he was co-founder of the advertising agency Berg & Lyhne, Head of the chain Byggekram and CCO at Kjærsgaard & Co.
Kirsten Drejer (born 1956) hold an M.Sc. in Pharmacy and a ph.d. in pharmacology. She is co-founder of the biotech company Symphogen and CEO from 2000-2016. Prior to Symphogen, Kirsten held various managing positions at Novo Nordisk. 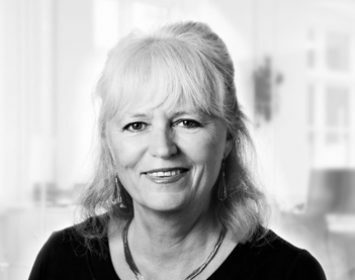 She is member of the BoD in Symphogen, The Danish Growth Fund, BioPorto and Bioneer (Chairman) as well as member of the following advisory boards: The Pharmaceutical Faculty, CBS Entrepreneurship Platform and The Danish Academy of Technical Sciences. Member of the BoD of lyhne & co. since May 2017. Claus Borg (born 1953) is specialised in development of public and private organisations, e.g. working with management development, corporate strategy and change management. Amongst his clients are LEGO, DFDS Seaways and Associated Danish Ports. Furthermore, Claus is a member of BoD of K.G. Hansen & Sønner, KG Fonden, ChemDry Nordic, InNordic and Blue Hors. Prior to working as a strategic advisor, he held a position as HR Director at Synoptik. Louise Lyhne (born 1979) holds an M.Sc. in Biophysical Chemistry. Louise is CEO of lyhne & co. since 2015, where she is specialised in strategy and communication within Healthcare & Life Science as well as the Retail industry. She has been head of lyhne life since 2012, besides being responsible for several clients within Retail, focusing on branding and marketing. Prior to lyhne & co., she held the position as as CMC Project Manager at Nycomed Pharma, Patent Manager and Scientist at the biotech company Egalet a/s. Member of the BoD of lyhne & co. since 2012.